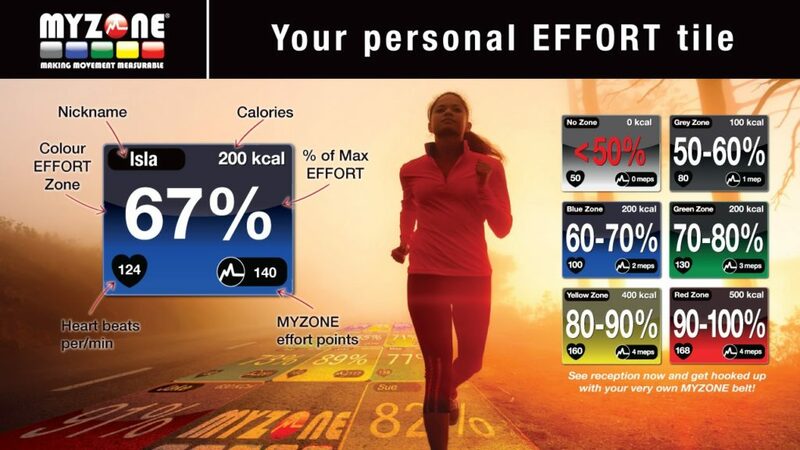 MyZone is the iconic Group Fitness class based on Wearable Technology. All class participants are encouraged to wear our MZ-3 Belts which allows the display of individual heart rate, caloric activity, effort percentage and points ALL in REAL TIME! Our classes are scalable across its entire platform. Members of all levels and abilities are able to participate in the same class based on each individuals MyZone quantifiable feedback. Class size is limitless and incorporates Stationary Bikes, Water Rowers, Floor and Weighted Movements. Our MyZone Group Exercise classes cater to all levels and abilities. We take the Functional Training concept and imbed our expertise in Strength and Conditioning to bring scalable, challenging programming.